Photo. Illus. by Bruno de MonÃ¨s. TrÃ¨s bon. En Feuilles. SignÃ© par l'illustrateur. 50,5 x 40,5 cm marges comprises. Sujet : 46 x 35 cm. Tirage gÃ©latino-argentique sur papier barytÃ©, justifiÃ© au dos Ã©preuve d'artiste, numÃ©rotÃ© (1/30), lÃ©gendÃ© et signÃ© par l'artiste. Portrait saisissant d'un AndrÃ© Dhotel alors atteint d'un cancer de la peau qui touchait son oeil gauche. Cette photographie a paru pour la premiÃ¨re fois dans le "Magazine littÃ©raire" de septembre 1983.. 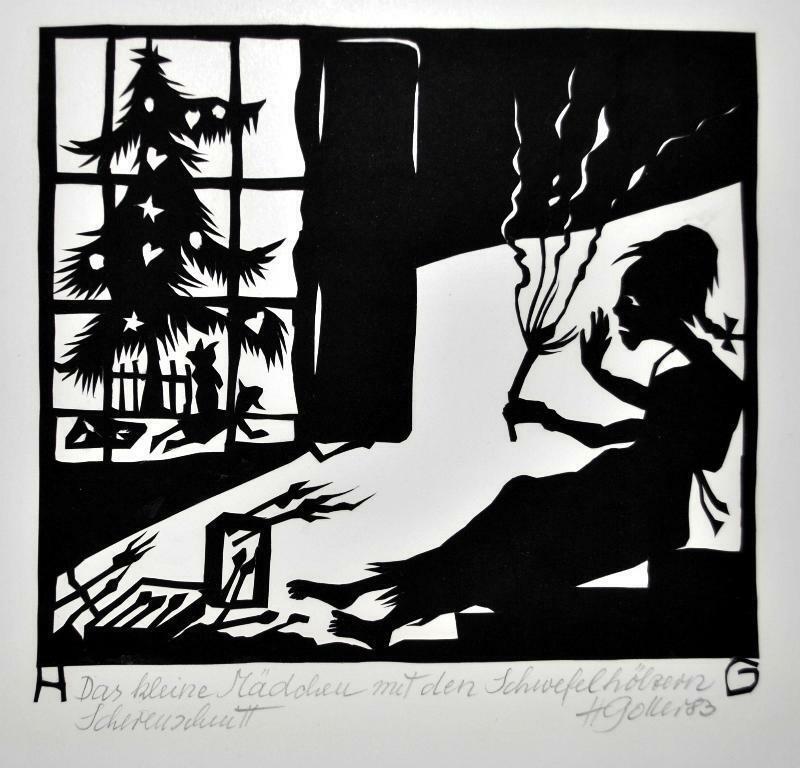 Original Scherenschnitt. - »Das kleine Mädchen mit den Schwefelhölzern« - Signiert und datiert. Boston: Little, Brown, 1983. First edition of the poet's Pulitzer Prize-winning collection. Octavo, original green cloth. Inscribed in the month of publication on the front free endpaper, "For Roger and Betty, with many good wishes. Mary. April, 1983." 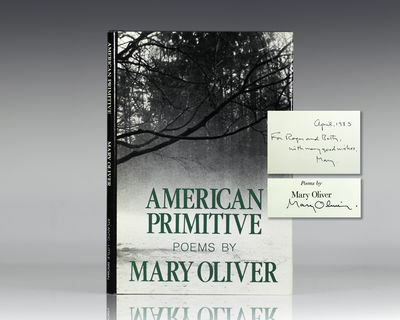 Additionally signed by Mary Oliver on the title page. The recipients were neighbors and close friends of the author in Cape Cod. Fine in a fine dust jacket. 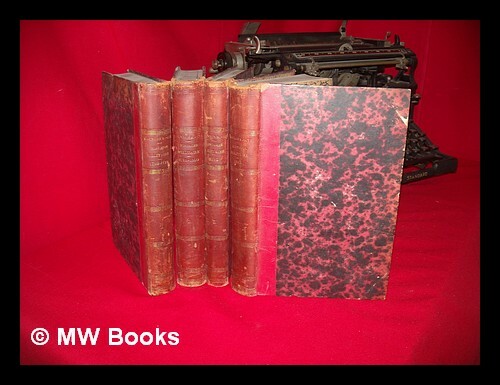 The hardcover edition is scarce, as it was issued simultaneously in paperback and association copies inscribed in the month of publication are rare. Mary Oliver was described by The New York Times as "far and away, [America's] best-selling poet." She has won both the Pulitzer Prize in 1984 and the National Book Award in 1992. Oliver's poetry has been called an "indefatigable guide to the natural world, particularly to its lesser-known aspects" (Kumin, 1993). "Visionary as Emerson [ she is] among the few American poets who can describe and transmit ecstasy, while retaining a practical awareness of the world as one of predators and prey," reviewed The Nation. Holly Prado of Los Angeles Times Book Review noted that Oliver's work "touches a vitality in the familiar that invests it with a fresh intensity." Propyläen Geschichte Deutschlands. 9 Bände in zehn Büchern. Alles. Berlin,Propyläen-Verlag 1983 ( (-1995)) - Sehr guter Zustand. Nameneintrag. Mit dem vom Verlag zurückgezogenen und makulierten Band 9. Band 7/1 ohne Schuber. Band 1: Fried, Johannes: Der Weg in die Geschichte (bis 1024). - Band 2: Keller, Hagen: Zwischen regionaler Begrenzung und universalem Horizont (1024-1250). - Band 3: Moraw, Peter: Von offener Verfassung zu gestalteter Verdichtung (1250-1490). - Band 4: Lutz, Heinrich: Das Ringen um deutsche Einheit und kirchliche Erneuerung (1490-1648). - Band 5: Vierhaus, Rudolf: Staaten und Stände (1648-1763). - Band 6: Sheehan, James J.: Der Ausklang des alten Reiches (1763-1850), ins Deutsche übertragen v. Karl Heinz Silber. - Band 7/1: Mommsen, Wolfgang J.: Das Ringen um den nationalen Staat (1850-1890). - Band 7/2: Mommsen, Wolfgang J.: Bürgerstolz und Weltmachtsstreben (1890-1918). - Band 8: Mommsen, Hans: Die verspielte Freiheit (1918-1933). Band 9: Weißmann, Karlheinz: Der Weg in den Abgrund. Deutschland unter Hitler 1933 bis 1945. Deutsch 20000g Gr.8° Halbledereinband mit Schutzumschlag im Schuber. New York: Poseidon Press and Nemo Press. F/F. 1983. 1st Edition. Hardcover; 1st Printing. 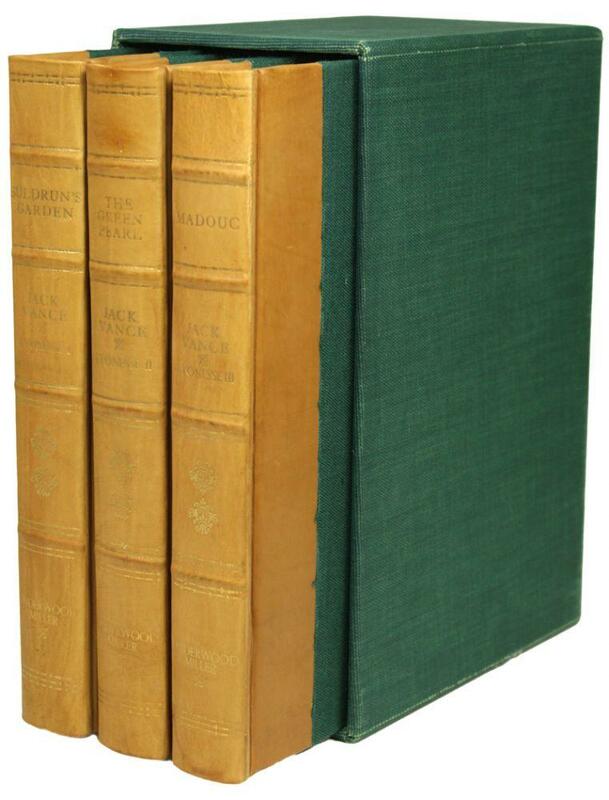 1st edition/1st printing of the 500 limited editions - issued at the same time as the trade edition but both counted as 1sts since they have different ISBNs and are different sizes, bindings, numbers published, etc. This book is #9 of 500 of the signed limited 'collector's edition' with dustjacket, in publisher's red cloth-bound slipcase. The book is Fine - tight, clean, no soiling or wear and no markings other than the author's signature and number on the limitation page. The dustjacket is also Fine - price intact, clean, crisp, no fading, edgewear, tears or chips. The slipcase is Fine, with no wear or soiling. A beautiful production. If you've only read Mr. Martin's fantasy, you need to give his early sci-fi and/or horror a try - he's excellent at any combination of those two. Most of his earlier stories really can't be labeled strictly as one genre or the other - so I'll just say he's great at speculative fiction in all its varieties. If you prefer trade editions for his earlier works, look for some both signed and unsigned in our inventory. 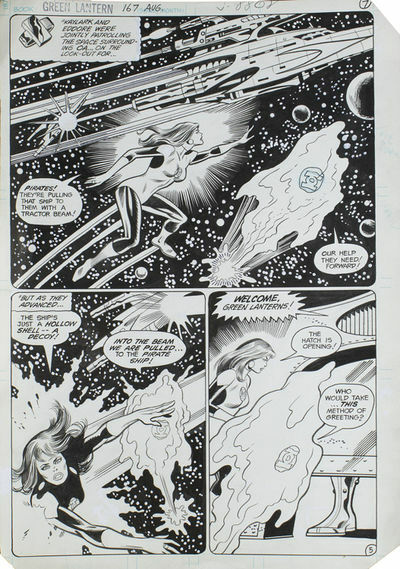 ; B&W Illustrations; 9-1/4" x 6-1/4"; 333 pages; Signed by Author . Funded by a donation from H & M Productions, Altadena, California. 1983. Poster. Black-and-white offset lithograph printed on heavy, matte-finished paper. 38.8 x 24.5 in. / 98.6 x 62.2 cm. The composition consists of greatly enlarged details of eight 7 drawings and one photograph. Never folded. Fine. Not located in OCLC. 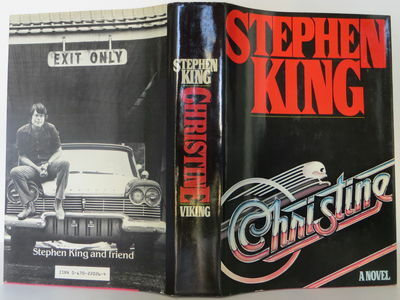 U.S.A.: Viking Press, 1983 A fine first edition in a fine dust jacket inscribed by King on the front free endpaper at the time of publication.. Inscribed by Author(s). 1st Edition. Hardcover. Fine/Fine. Ellinborough: Christopher Skelton, 1983. First Edition, Limited. Quarter Leather. Near Fine. Special edition, this #64 of 85 copies (issued at the same time as the ordinary edition of 1350 copies). 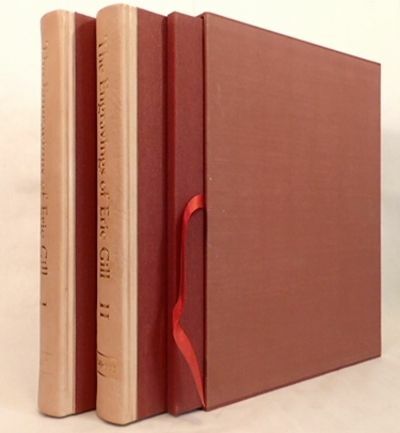 Two large 4to volumes, leather over linen, plus portfolio of 8 prints taken from Gill's original woodblocks, in slipcase. Still in shipping box, as new. Sämtliche Werke. Texte, Briefe, Dokumente. Residenz Verl., Salzburg 1983 - 22,5cm; 1983-1994; Bd. 1: Der Gaulschreck im Rosennetz : Roman (1983); Bd. 2: Rout am Fliegenden Holländer : Roman (1984); Bd. 3: Das Maskenspiel der Genien : Roman (1989); Bd. 4: Erzählungen, Pantomimen und Ballette (1991); Bd. 5: Zwischen Prosa und Drama : erzählte u. dramatisierte Fassungen gleicher Stoffe (1986); Bd. 6: Dramen (1985); Bd. 7: Der Briefwechsel mit Alfred Kubin : 1903 bis 1952 (1983); Bd. 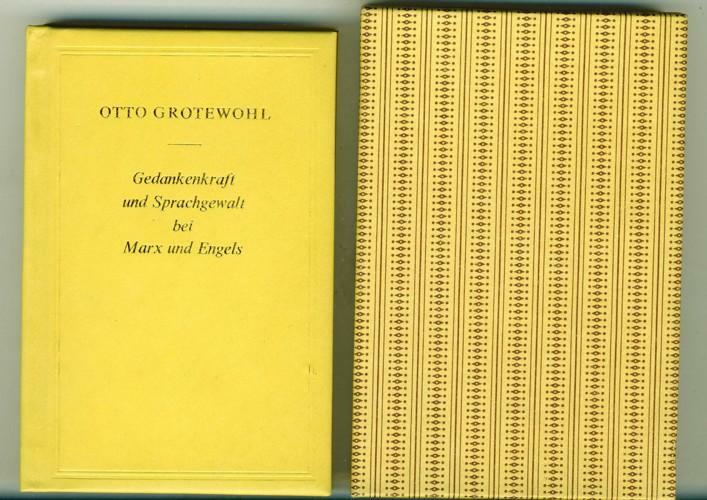 8: Ausgewählte Briefwechsel : 1885 - 1954 (1989); Bd. 9: Skizzen und Fragmente (1992); Bd. 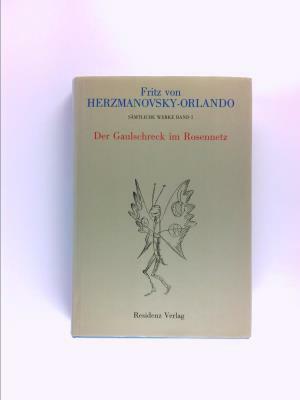 10: Sinfonietta Canzonetta Austriaca (1994); Schutzumschläge der Bände unterschiedlich leicht verblichen, fast Neuwertig, mit Exlibris von Herbert Rosendorfer; Nur als komplette Reihe abzugeben. In deutscher Sprache. 243,348,647,287,513,451,484,591,378,447 pages. 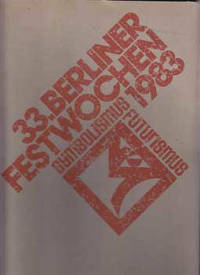 Berliner Festspiele & Akademiie der KÃ¼nste, 1983. 17 flyers and folded posters in the original cardboard portfolio. 32 x 24 cm. From the collection of Alma Law. Wu Xueqian, Chinese politician who served as the Foreign Minister and Vice Premier of the People's Republic of China (1921-2008). Signed portrait photograph. N. p., 1983. 1983. 240:180 mm. Official German press photograph of the Chinese politician Wu Xueqian together with German minister for foreign affairs, Hans Dietrich Genscher. Signed by the politicians on this occasion. New York: Pace Editions and Hudson Hills Press, 1983. Deluxe edition, one of 100 copies, each signed and numbered by Louise Nevelson, containing multi-color original Nevelson silkscreen print, measuring 13 x 12 inches, this also signed and numbered by the artist. 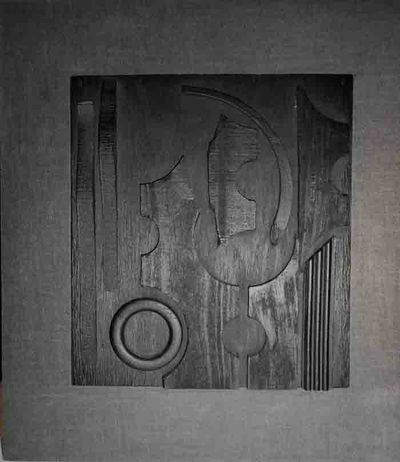 The book and the print are encased in a grey-black clothbound portfolio (cloth slightly sunned) on which appears a black polyester resin multiple, typical of sculpture by Nevelson bonded to the portfolio cover, and framed by it, measuring 9-5/8 x 8-1/2 inches, also signed and numbered by Louise Nevelson. Long out of print. While the trade edition without the original silkscreen and wood sculpture on the front of box is common, this deluxe copy, is quite scarce. His first seven books, all inscribed to his parents:] The Sweet-Shop Owner; Shuttlecock; Learning to Swim and Other Stories; Waterland; Out of This World; Ever After; Last Orders. 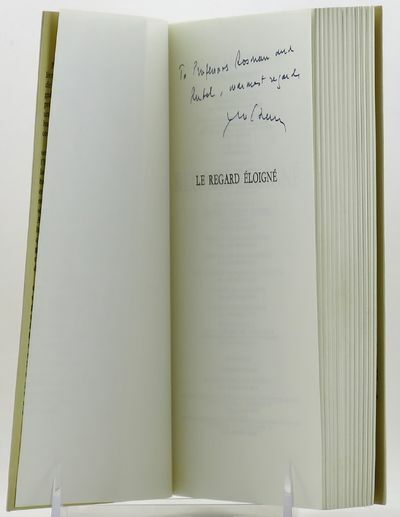 - Gallimard, Paris 1983, 15x21,5cm, 2 volumes brochés. - Edizione stabilita, presentato e commentato da Simone de Beauvoir, uno dei 33 esemplari numerati su Holland disegnare tête.Légères interessano morsi indietro, incollato un piccolo strappo nella parte superiore del dorso del secondo volume. - [FRENCH VERSION FOLLOWS] Edition originale établie, présentée et annotée par Simone de Beauvoir, un des 33 exemplaires numérotés sur Hollande, tirage de tête. Légères piqûres affectant les dos, une petite déchirure recollée en tête du dos du second volume. New York: Knopf and others, 1983 : , 1983. SIGNED hardcover first edition - FOR SALE, AS A LOT ONLY: a unique group of items with a significant association to Clampitt's life. Included are four of her hardcover books published by Knopf - The Kingfisher, What the Light Was Like, Archaic Figure and The Silence Opens. 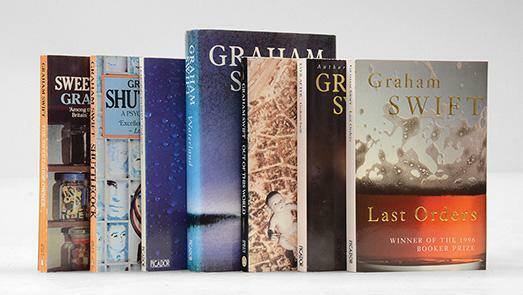 Kingfisher is a 2nd printing (before publication), the rest are first printings; none have dust jackets (possibly as sent by the publisher or possibly removed by the recipient.) Tipped onto the front endpaper of 'The Kingfisher' is a small handwritten note "For Harold Guthrie - who opened the excitements of English poetry for me so many years ago, and whose friendship I treasure - with thanks and best wishes always." SIGNED by Clampitt in full and dated in December 1982. 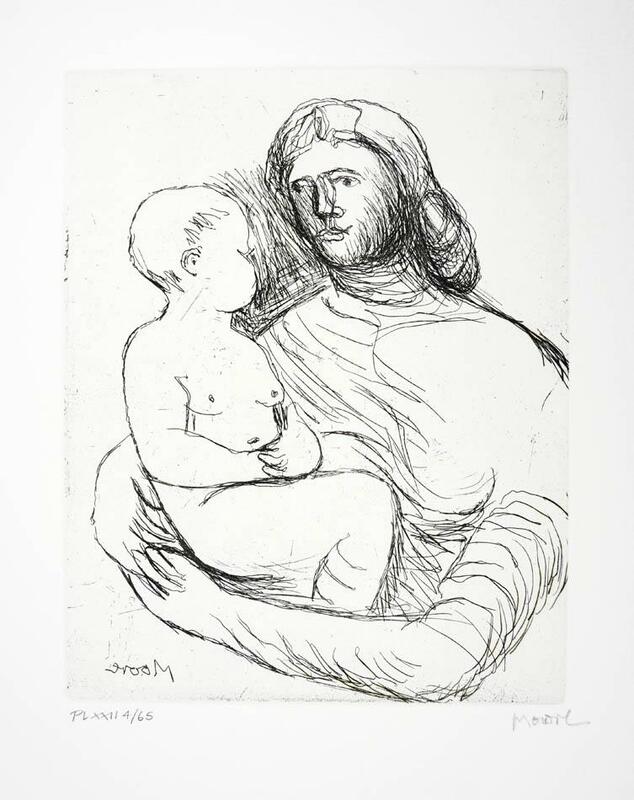 'Archaic Figure' and 'What the Light Was Like' have tipped-in printed cards from the publisher stating "with the compliments of the author" (one of those cards has "Harold Guthrie "handwritten on it); 'The Silence Opens' has a similar card, loosely laid in. Also included is a brief typed signed note dated in December 1983, referring both to seeing Guthrie recently and to the limited edition broadside of "Hippocrene" which she was sending as a Christmas greeting. The note also states that she is enclosing a poem "that comes out of my brief visit to Scotland." The photocopied typed poem "Dundee: A Homage" fills one side of an 8 1/2 by 11 inch sheet (folded in four for mailing). Hippocrene is on a single sheet 17" by 11" folded to make 4 page broadside, printed in an edition of 220 copies on the occasion of the poet reading at Bennington College in November 17, 1983. It has an additional fold line across the middle (probably to fit in a smaller envelope for mailing) - As far as we have been able to determine, "Dundee" has not been published in book form, at least - The final item is a copy of "Matoaka: A Poem in Celebration of the Tercentary of the College of William and Mary College in Virginia" in 1993. This is INSCRIBED by Clampitt to Guthrie 'with longtime and continuing esteem' and dated in February, 1993. While Clampitt started writing poetry seriously in the 1970's, and had been published in magazines, including the New Yorker, as well as publishing the chapbook 'Multitudes, Multitudes,' it was the appearance of her first collection with Knopf - The Kingfisher - in 1983, when she was already in her 60's, that brought her acclaim. This lot covers the entire span of Clampitt's most productive last years before her death - and they are evidence on an on-going and warm relationship with the teacher from her hometown of New Providence, Iowa, the teacher whom she honored publicly in 1984 when she wrote (at the end of 'A Homage to John Keats'): "I wish to . . . pay tribute to Harold Guthrie, in whose class at New Providence, Iowa, I had my introduction to the poetry of Keats." The two very uncommon published items, as well as the short notes and the poem "Dundee", make this lot interesting in itself, but the real value lies in the spirit behind these gifts and notes to Guthrie - her teacher more than 40 years before. Most fine or near fine condition, some with folds from mailing. .
Gedankenkraft und Sprachgewalt bei Marx und Engels. Lektion anläßlich des 110.Jahrestages der Veröffentlichung des "Manifestes der Kommunistischen Partei"
Gesammelte Werke. 5 Bänden. Herausgegeben von Beda Allemann, Stefan Reichert unter Mitwirkung von Rudolf Bücher: Erste Werkausgabe. Enthält Gedichte I - III und Übertragungen I - II (= jeweils zweisprachig: aus dem Französischen, Russischen, Englischen u. Amerikanischen, aus dem Italienischen, Rumänischen, Portugiesischen sowie Hebräischen). Green Lantern Vol. 2 167, page 7 "Ring Against Ring!" DC Comics Inc, 1983. 16 x 10 inches. Fine. 16 x 10 inches. Comic Synopsis: Having acquired an Oan Power Ring, the irate Galius Zed turns against his comrade Hal Jordan and decides to show him what a true ring-bearer can now accomplish. Hal has little chance against a foe armed with such a superior weapon, but Galius Zed quickly learns that the ring taxes his own life energies, draining him of power and vitality. A withering Zed collapses before Hal Jordan. Hal calls to mind how this whole business got started. It began with Green Lanterns Eddore and Kaylark. Both of them had come into conflict with a trio of space pirates called the Free Lancers. The Free Lancers showed them how their masters, the Guardians of the Universe had crafted a ring that was not inhibited by materials colored yellow. This enraged Eddore and Kaylark, and drove them to renounces the Guardians. Kaylark came into possession of her own Oan ring and returned to her home planet D'xe where she crowned herself Empress. Eddore acquired an Oan Power Ring as well and returned to his native world of Tront. With the power of the ring, he forced hundreds of Trontians to fuse their essences with his own, creating an over-sized being of great power. Hal Jordan came to Tront and fought against the Eddore/Trontian entity. Channeling all of his ring's energy into the being, he overloaded it with power, causing it to collapse to the ground. "Green Lantern Vol 2 167." DC Database. N.p., n.d. Web. 22 Apr. 2015. Page Synopsis: Hal's flashback: Kaylard and Eddore are patrolling the space around OA and they see a pirate ship pulling another ship into it. They soon realize that they are being tricked and the whole thing is a decoy! Magnifique portrait photographique d' Inès de la Fressange par Bruno de Monès ( tirage vintage signé et numéroté - Epreuve d'artiste ). Magnifique portrait du modèle, datant de 1983, pris à son domicile parisien, alors en travaux. Belle composition dans la salle de bain. Il est à noter qu' Inès de la Fressange eu l'idée de se parer de son collier. Il s'agit ici d'un tirage postérieur au format ( marges comprises ) 41 x 50,5 cm. Tirage argentique, barité, sur cartoline. Epreuve en parfait état. Tirage à 30 exemplaires, justifié au dos " Epreuve d'artiste " numéroté 10/30, légendé, daté et signé par Bruno de Monès.Port gratuit pour la France ( En raison des nouvelles normes postales, les livres dont l'épaisseur dépasse les 3 cm seront expédiés obligatoirement en Colissimo avec un forfait ajouté de 5 € ) Port à la charge de l'Acheteur pour le reste du monde. Pour destinations extra-planétaire s'adresser à la NASA. Membre du Syndicat Lusitanien Amateurs Morues - Vente exclusivement par correspondance ! Le libraire ne reçoit que sur rendez-vous. Il est préférable de téléphoner avant tout déplacement. 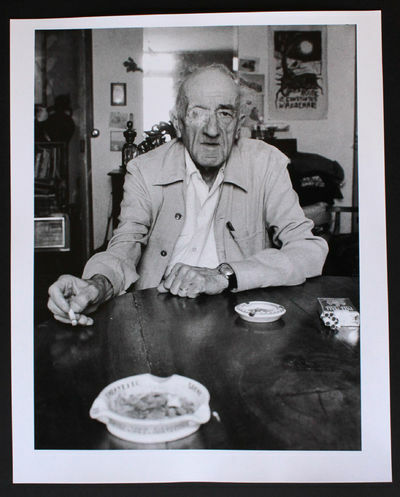 Magnifique portrait photographique de Léo Malet par Bruno de Monès ( tirage vintage signé et numéroté - Epreuve d'artiste ).? Magnifique portrait du romancier, publié dans le " Magazine littéraire " d'avril 1983. Il s'agit ici d'un tirage postérieur au format ( marges comprises ) 41 x 50,5 cm. Tirage argentique, barité, sur cartoline. Epreuve en parfait état. Tirage à 30 exemplaires, justifié au dos " Epreuve d'artiste " numéroté 04/30, légendé, daté et signé par Bruno de Monès.Port gratuit pour la France ( En raison des nouvelles normes postales, les livres dont l'épaisseur dépasse les 3 cm seront expédiés obligatoirement en Colissimo avec un forfait ajouté de 5 € ) Port à la charge de l'Acheteur pour le reste du monde. Pour destinations extra-planétaire s'adresser à la NASA. Membre du Syndicat Lusitanien Amateurs Morues - Vente exclusivement par correspondance ! Le libraire ne reçoit que sur rendez-vous. Il est préférable de téléphoner avant tout déplacement. Galerie Municipale Edouard Manet, Gennevilliers, 1983 - Set of 3 books underslipcase , published for the exhibition " Le livres d'Heures Aujourd'hui " and printed by par Kamill Major. " Genese " 7 sérigraphs by Anna Mark ; Vera Szekely " Petites leçons des choses " ; Kamill Major " Conte de Fée ". Each book signed, from an edition of 400 copies. London: Jonathan Cape. 1983. First edition, first printing. First edition, first printing. Original pictorial laminated boards. No dustwrapper called for. A very near fine copy, the binding clean and bright with a tiny bump to the top right corner. 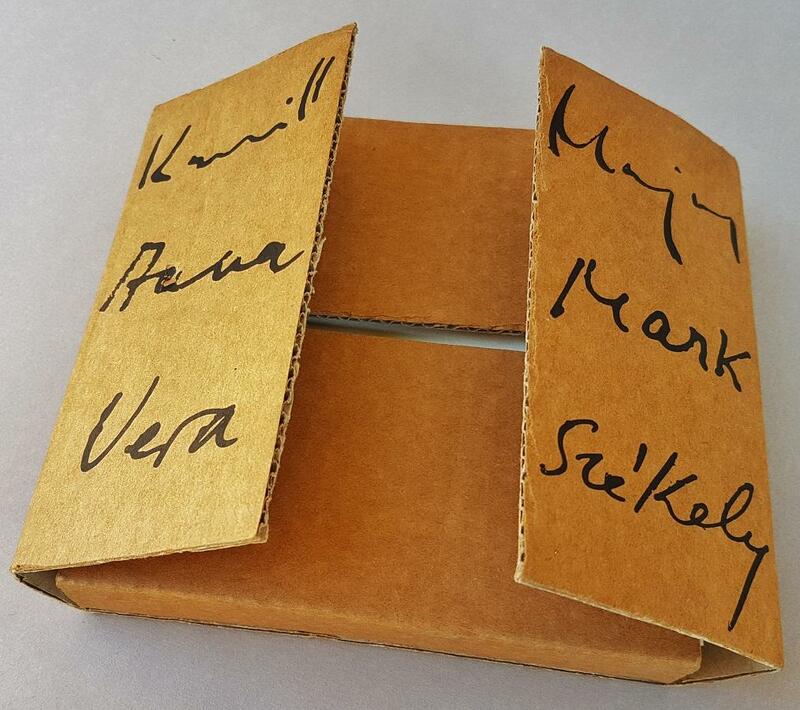 The contents are entirely complete, without loose or torn pages and without previous owner?s inscriptions or stamps. A lovely example copy. Signed by the author in black ink to the title page (with light offsetting to the yellow endpaper opposite). 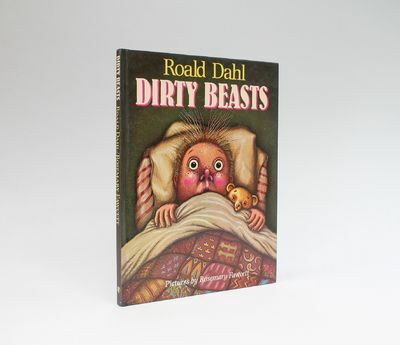 Roald Dahl was not a fan of the illustrations for the first edition of this title, asking Quentin Blake to re-illustrate the book, which was published the following year. As a result signed copies of the true first are quite scarce. Provenance: Signed by the author at SjÃ¸lyst Book Fair in Oslo; private collection, Norway; Antikvariat Richard SÃ¸rbÃ¸, Norway (Katalog 49); Private collection, Norway. Further details and images for any of the items listed are available on request. Lucius Books welcomes direct contact with our customers. MARTIN / CHARTIER / VIVET ..//.. Sous la direction de Henri-Jean Martin et Roger Chartier / Collaboration de Jean-Pierre Vivet. 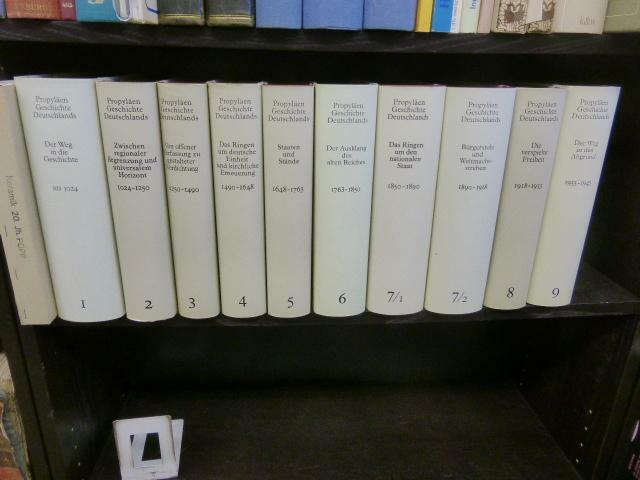 Paris, Promodis, 1983-1984-1985-1986, 4 volumes, in-folio, reliés, 629 p. / 653 p. / 539 p. / 610 p.. Première édition. Tome I : Le Livre conquérant : du Moyen âge au milieu du XVIIe siècle. - Tome II : Le Livre triomphant : 1660-1830. - Tome III : Le Temps des éditeurs : du romantisme à la Belle époque. - Tome IV : Le Livre concurrencé : 1900-1950. très nombreuses illustrations noir et couleur, bibliographie et index en fin de chaque volume. Reliure éditeur, plein skivertex blanc, titre doré au dos et sur le premier plat, sans les jaquettes, second plat du premier tome et dos légèrement jaunis, infimes défauts aux reliures. Ouvrage de référence. Peu commun. Très bel exemplaire. ************* PROMO : Envoi gratuit en courrier suivi et assurance à partir de 20 € d'achat (France seulement), remise 20 % pour commande supérieure à 60 €. 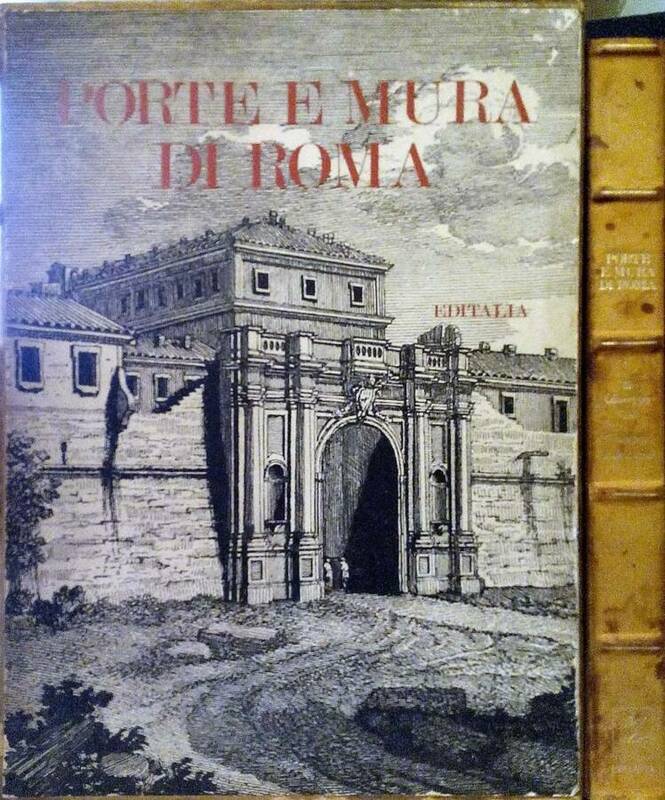 VERLAG BUTZON & BERCKER KEVELAER, CITTA' DEL VATICANO 1983 - INTERLINGUE In tedesco e latino, timbro bilioteca al frontespizio, pagine ottimamente conservate, coperta rigida in tela bordeaux con titoli d'oro al piatto ed al dorso La libreria offre per un periodo limitato uno sconto del 15% su tutti i suoi libri. Il prezzo originale dell'articolo era 999,00 euro. Paris: Plon, 1983. First Edition. Softcover. Near fine in no dust jacket. In French. 8vo (8 in. tall / 20 cm); 398 pp. 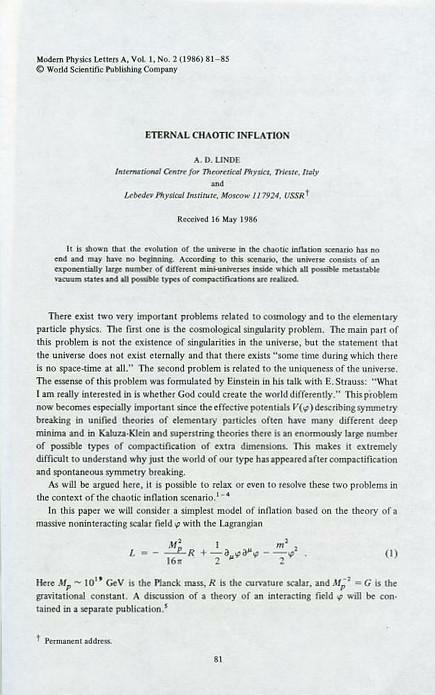 Association copy, "To professors Rosman and / Rubel, warmest regards / Claude Levi-Strauss." 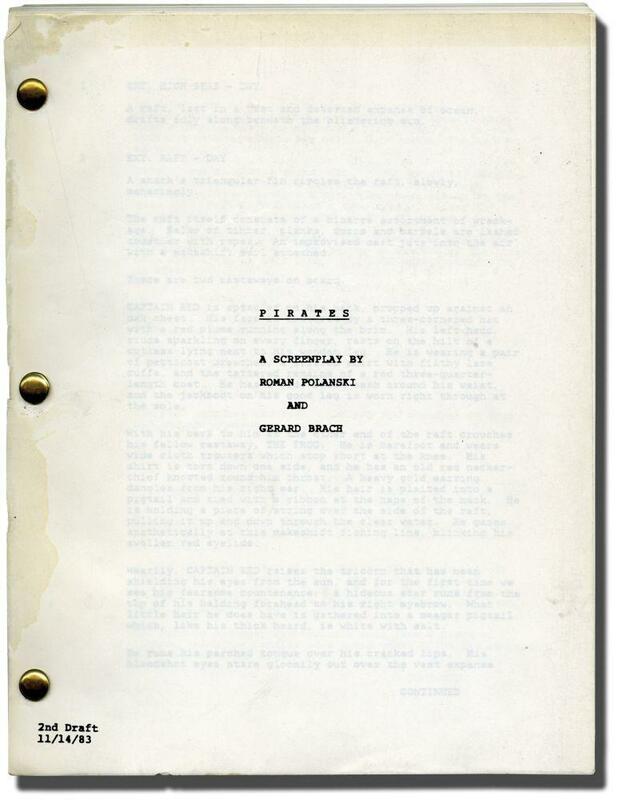 First edition printed March 30, 1983. Professors Emeritus of Anthropology 1966/65-98, Abraham Rosman and Paula G. Rubel have done much field work together and have published numerous books together. Glossy card covers with gatefolds; pictorial covers with black and blue lettering to spine. One map and three diagrams in-text in black and white. Tight, clean and square binding. Intact spine ends. Pristine and unmarred pages with no bookplate, writing, foxing, marks, tears or folds; no loose pages. Appears unread. Clean endpapers. Binding with trace handling. Very nearly fine condition. Having revolutionized the world of social anthropology, Claude Levi-Strauss is considered a father of modern anthropology and one of the most influential thinkers on such subjects as myth, culture, religion, and social organization. Levi-Strauss' work has highly influenced fields such as literary studies and philosophy. Exemplaire annotÃ© assorti d'une prÃ©sentation signÃ©e de l'auteur. Ã‰dition originale. Reliure livre est serrÃ© propre et carrÃ©. Dos des livre aux deux extrÃ©mitÃ©s complet. Pages immaculÃ©es sans ex-libris, l'Ã©criture, rousseurs, les marques, les larmes ou les plis; pages ne lÃ¢che. ApparaÃ®t non lu. Feuilles d'extrÃ©mitÃ© propres. Reliures Ã la manipulation trace. TrÃ¨s proche du neuf. 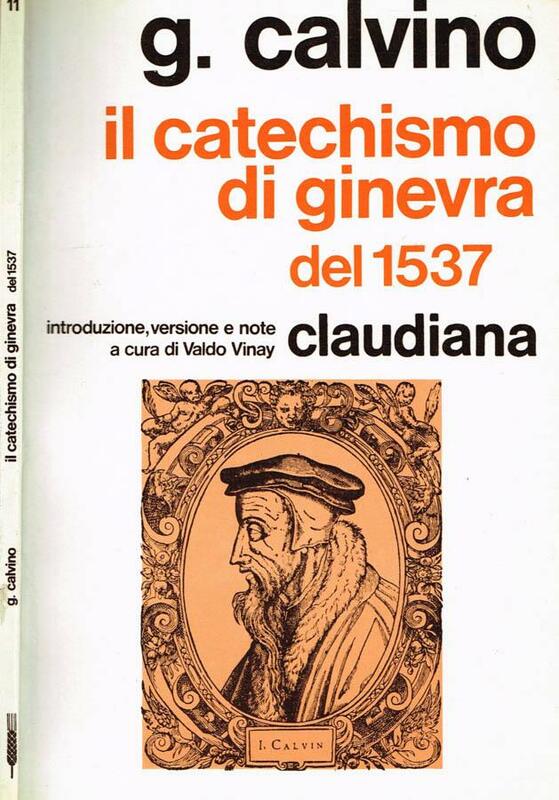 CLAUDIANA, TORINO 1983 - TESTI DELLA RIFORMA ITALIANO Introduzione, versione e note a cura di Valdo Vinay, l'edizione riprende, con alcune variazioni apportate dal curatore stesso, la traduzione pubblicata nel 1935 come Quaderno di Gioventù Cristiana, con pagine leggermente brunite ai bordi, coperta flessibile con lievissimi segni di usura e leggermente ingiallita La libreria offre per un periodo limitato uno sconto del 15% su tutti i suoi libri. Il prezzo originale dell'articolo era 999,00 euro. (n.p): (n.p.). [ca. 1983]. In 1983, Robert Stone, National Book Award-winning novelist, was commissioned to write a piece on George Orwell and his dystopian novel Nineteen Eighty-Four, as that calendar year approached. In the piece, Stone made an effort to reclaim Orwell from the conservative right wing, which had taken his most famous, anti-totalitarian novels -- Nineteen Eighty-Four and Animal Farm -- to be explicit condemnations of the Soviet Union and Communism, and by implication all leftist thought itself. Instead, Stone argues that Orwell's writing in Homage to Catalonia -- not to mention his fighting on the Republican side in the Spanish Civil War -- identifies Orwell as someone with both a socialist sympathy and "a certain affinity with what I believe is best about the United States," a kind of Puritanism that is characterized by "rectitude...conscience and common sense." He goes on to point out that Orwell "was the sort of radical who makes enemies on both sides of epic struggles," owing to his "originality and intelligence, [and] above all his thoroughgoing honesty, [which] always got him in trouble. A writer and man more predictable and dull, less infernally scrupulous would have had a better time of it." Stone adds that Orwell was idealistic but non-ideological -- as Stone was himself -- and deeply committed to the kind of "pragmatism that has characterized American moral thinkers from Jefferson to James to Neibuhr." He concludes that "We may never produce a greater political novel than Nineteen Eighty-Four" and that "it has done its work for us" in shaping our fears and cautions sufficiently for us to have avoided the totalitarian dystopia that was latent in the post-War years of the Cold War. 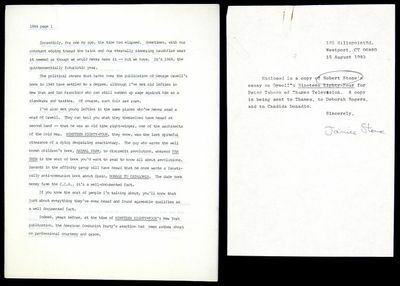 The confluence of writer and subject here was, in many ways, a near-perfect one but the piece seems never to have been published; we can find no record of it; a cover letter from Stone's wife, Janice, indicates this was done for Thames Television, but whether it was produced or used remains unknown to us. One of Stone's novels includes an allusion to a critical moment in Nineteen Eighty-Four: Stone's character explains that one has "to look the gray rat in the eye" -- an allusion to the torture by rats that Winston Smith, in Nineteen Eighty-Four, is faced with, which causes him to "break" and betray himself and his loved ones. 18 pages, ribbon copy typescript, with Janice Stone's cover letter, laid into an agent's folder. Fine. An unknown Robert Stone piece, on a subject that touches close to many of the central and pervasive themes of his own writings. Unique. First Edition. No Binding. Near Fine. NY: Knopf. 1983. 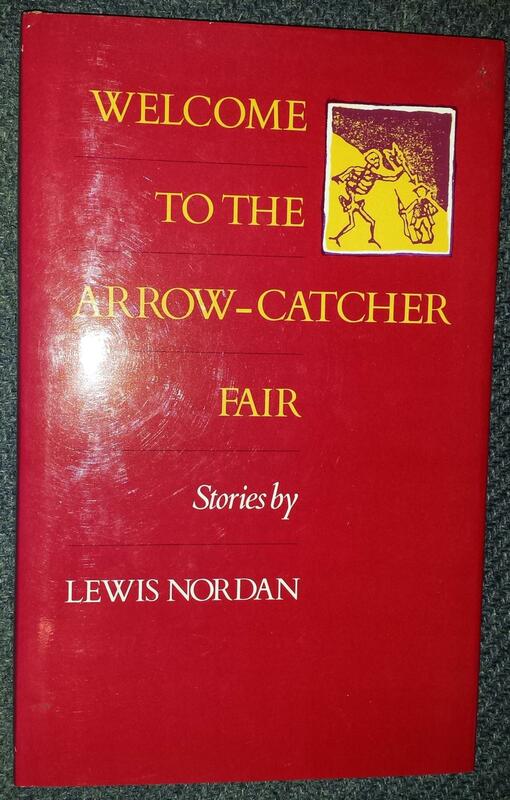 The uncorrected proof copy of his third collection of stories to be published by a major trade publisher, and a major literary event that confirmed Carver's preeminent place among American short story writers of the day, and signaled a full-fledged resuscitation of the short story in American literature. Signed by the author. 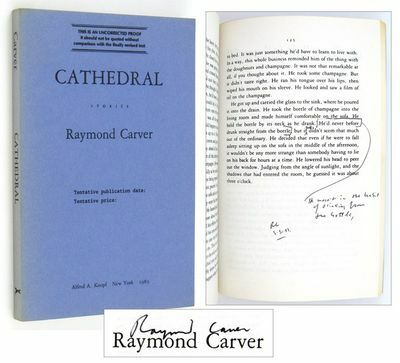 In addition, Carver has made a change to the text in the last paragraph of the story "Careful" and initialed and dated the change on May 30, 1983. The changed text was incorporated into the published version of the story, so this was apparently a working copy of the proof. Fine in wrappers with a tinge of spine sunning. First Edition. Softcover. Fine. Das Graduale von Sankt Katharinenthal. Faksimile-Ausgabe und Kommentarband, mit Einführung von Alfred A. Schmid. Luzern, Faksimile-Verlag 1983, 500x350mm, 305x210mm,Reproduction de la reliure du Moyen Age pour le fac-similé, demi-basane pour le volume de commentaire. Tirage numéroté à 930 ex., n° 590. INEDITS-MANUSCRITS. AUTRES TEXTES SONT ILLUSTRES DE VINGT-QUATRE PEINTURES ORIGINALES D'ERIC BATTISTA, LITHOGRAPHIEES PAR CLAUDE JOBIN. SEYSSINET-PARISET. 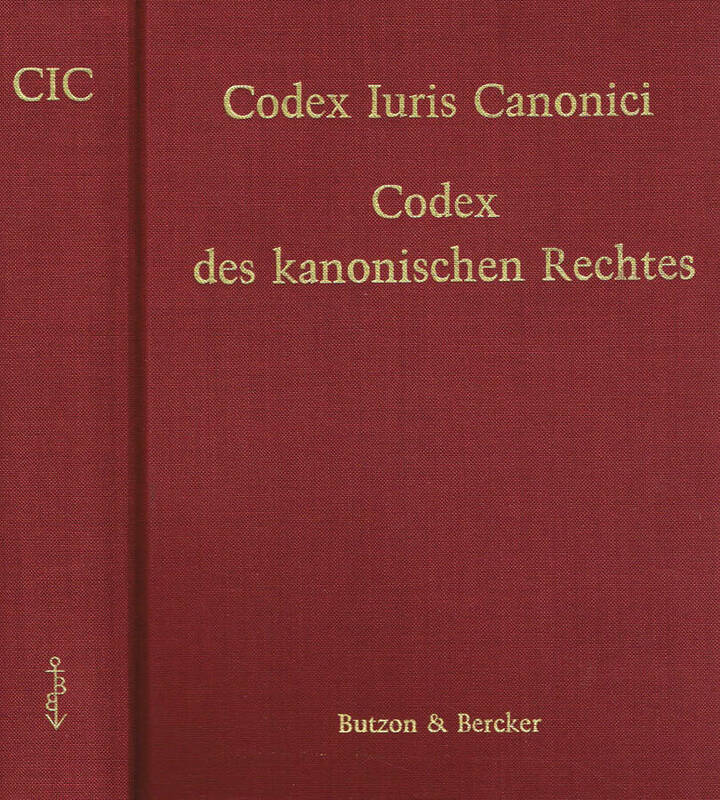 EDITIONS DU GRESIVAUDAN. (1983-1984).2 VOLUMES IN-4 EN FEUILLES (26,5 X 34 X 13 CENTIMETRES ENVIRON) DE 404 PAGES, SOUS COUVERTURE BLANCHE REMPLIEE, CHEMISES ET EMBOITAGE BEIGE DE L'EDITEUR, TITRE DORE SUR DOS LISSE. ILLUSTRE DE 24 PLANCHES DOUBLES HORS-TEXTE, EN COULEURS. PREMIER TIRAGE LIMITE A 5000 EXEMPLAIRES NUMEROTES, TOUS SUR VELIN D' ARCHES. UN DES 500 DU TIRAGE DE TETE COMPRENANT A PLAT EN PORTEFEUILLE (49 X 33,5 X 2,5 CENTIMETRES ENVIRON) UNE SUITE EN COULEURS DE 24 LITHOGRAPHIES ET UNE SUITE DE 24 PLANCHES DE DESSINS D'ETUDES DE L'ARTISTE, CELUI-CI PORTANT LE NUMERO 442. BEL EXEMPLAIRE, ACCOMPAGNE D'UNE PHOTOGRAPHIE EN COULEURS DE BRASSENS EN COMPAGNIE D'ERIC BATTISTA. Marchant Ducel Leporello 1983 UNE DES PLUS BELLES RÉALISATIONS DE L'ÉDITEUR MARCHANT DUCEL, TIRAGE À 36 EXEMPLAIRES SUR PAPIER NÉPALAIS, SIGNÉS PAR HENRI MICHAUX. Présentation sous forme de leporello, sous une couverture recouverte de tissu (jute) (env. 17,5 x 16,5 cm). Titre imprimé sur papier japon, encadré, et contrecollé sur le premier plat. Placé dans un étui de coton noir à rabat. Notre exemplaire (n°20) sur papier Népalais. Illustré d'un magnifique shri yantra (voir photo) peint à la main et d'un cul-de-lampe bicolore également peint à la main. Le texte de 'Yantra' a été publié une première fois dans un catalogue d'exposition d'art tantrique en 1970. Le papier Népalais est absolument fabuleux, le tout a été imprimé le 21 juin 1983, sur les presses de Wonder Printing Press à Kathmandu au Népal. EXTRÊMEMENT RARE ET FRANCHEMENT SOMPTUEUX. Nos envois des ouvrages de moins de 60 Euros se font par colissimo (tarif de La Poste), et en colissimo Recommandes au-dela sauf avis contraire de votre part.